Before you can get treated for your back pain, your doctor will have to diagnose you to figure out what is causing your problem. Unless you are completely immobile from a back injury, your doctor will likely test your range of motion and nerve function, this done by locating the areas of discomfort. Doctors can conduct blood and urine test in order make sure that back pain is not caused an infection or other systemic problem. X-rays will be used to identify any broken bone or other skeletal deficiencies. Doctors can use an MRI to analyze soft-tissue damage such for issues, such as a herniated disk. An MRI’s or magnetic resonance imaging scan may be needed. A CT scan can be done instead for people who can not have an MRI. X-rays, imaging studies are not usually indicated for the first time back pain cause by an overuse type injury and are used for checking out ongoing pain, direct trauma to the back pain, with fever, or nerve problems such as weakness or numbness in the arms of legs. An Electromyogram (EMG) can be used test for possible nerve and muscle damage. Unfortunately, there is not always a clear correlation between the results of imaging studies and the amount of back pain person experiences. There can be results and CT scan and MRI, yet do not have result in back pain. 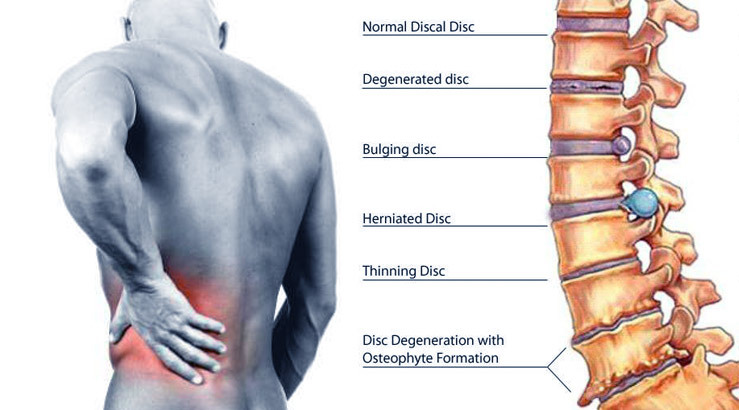 What are the treatments for Back Pain? Back pain treatment focuses on pain relief and restored movement to the back area. The fundamental treatment goal is relieving acute back pain from strings or minor injury that modify your activities. Using an ice pack can be helpful along with acetaminophen or Tylenol, or aspirin. You can use other nonsteroidal anti-inflammatory drugs ( NSAID) to reduce back pain and inflammation. Note: Aspirin should never be given to a child younger than 19 years of age; because there is an increased risk of Rye’s syndrome. After inflammation is reduce, then apply heat can help soothe muscles and connective tissues. Bed rest is often advised as a treatment for back pain. However, this can agitate the cause and potentially harmful. Bed rest can slow the recovery and cause new problems. In most cases, you should be expected to start monstrously activity such as walking within 23 to 72 hours. Getting controlled exercise or physical therapy is a way to get your muscles moving. Physical therapy treatments may include massages, ultrasounds. The application of heat through whirlpool baths. Can be helpful to reduce pain. There are tailored exercise sport and, and games that can be incorporated to regain back full movement. Exercises that strength the abdominal and back muscles can help add stability to the spine. You can also prevent further back injury by learning and doing stretching exercises and lifting of weights with proper posture. If back, pains continue to continue to affect your normal activities, your physician can prescribe pain medications. These pain medications can range from over the counter painkillers to prescription drug anti-inflammation medications. If you are in severe pain, you may be prescribed a combination of opioid/acetaminophen pain killers such as hydrocodone/acetaminophen (Vicodin). or oxycodone/acetaminophen (Percocet). Some doctors my precise muscle relaxers. It is important to note that pain medications and mules relate have an effect on the brain, they can often cause drowsiness and dependence. Other drugs such as antidepressants and anticonvulsants are prescribed to help pain that is caused by agitated nerves. However, sometimes used steroids taken by the mouth are not recommended by some physicians for treatment of acute lower back pain. In cases where the pain is chronic, the doctor may prescribe antidepressants such as Cymbalta (duloxetine), Cymbalta is a serotonin-norepinephrine reuptake inhibitor or SNRI. The FDA Approves Cymbalta for chronic pain treatment that occurs in the bones and muscles caused by arthritis and chronic lower back pain. If your primary doctor is not able to help you control your back pain, he or she will likely refer you to a back specialist. Pain or back specialist can sometimes use injection such as steroids or anesthetics to help control back pain. IN cases where the patient has an herniated disk or a pinched nerve within the spinal cord, surgery may be recommended. There is evidence that having a medium-firm mattress helps treatment for chronic back pain. For people who have long-term back pain and nerve damage, there are a several newer treatments that have been recently built to help with treatment of pain. Radiofrequency ablation is a procedure that delivers electircla stimulation to specific nerves to make them less sensitive to pain or delivering enough electricity to disable the nerve so that it does not cause anymore pain. However, more research is needed to be able to judge the effectiveness of this approach. Some doctors are advocating the use of transcutaneous electrical nerve stimulators (TENS). However, there is not any clear data if its is helpful for back pain. Electrodes taped to the body carry a mile electric current that can help relieve the patient form pain. TENS are not painful but are a therapy used to mask pain like diabetic neuropathy. Using TENS for chronic lower back pain si not recommended base it is not proven how effective it is. If there is a case where there is extreme nerve damage. The doctor may recommend a rhizotomy to surgically severe a nerve and may be necessary prevent the transmission of pain to the brain. Rehctiomzy can rectify the symptoms resulting from friction between Spain joint surfaces. Chiropractors are the most popular specialist that back pain sufferers go to seek treatment from. According to the U.S agency for healthcare resefah and quality recognized spinal manipulation by chiropractors and osteopaths as effective for acute low-back pain. It is effective if treating chronic back pain is less well-established. Some research suggests that early chiropractic adjustments for acute back pain may prevent chronic problems from developing. Some doctors warn against using chiropractic manipulation, particularly those that involve rapid twiting of the neck. Osteopathic treatment can combine drug therapy with spinal manipulation or tradition may be followed by physical therapy and exercises. Research showed that acupuncture may offer relief for many chronic backs for people with pain. There doesn’t seem to be any difference. However, more research is needed to find out with both techniques are effective. Actuation can be use alone or part of a comprehensive treatment plan that includes medication and other theories. If you may find benefits of going to see a psychotherapist for cognitive behavioral therapy (CBT), your treatment may include stress testing, behavioral adaptation, education and relaxation techniques. CBT can often lessen the intensity of back pain. Change perception of levels of pain and disability, and even lift depression. There are other comprehensive behavioral programs have shown similar success, with practices able to lessen the amount drugs taken as the outlook improve. Biofeedback may be helpful for reducing pain and decreasing drug use if you lower back pain, is related to muscles tensions or spasm. You can get better movement and respond better to stress. Activities such as Pilates and yoga may help improve flexibility, strength, and sense of balance. Yoga can also be helpful for stress reduction and may help with the psychological aspects of pain. ← What is Causing my Back Pain (lumbago) ?